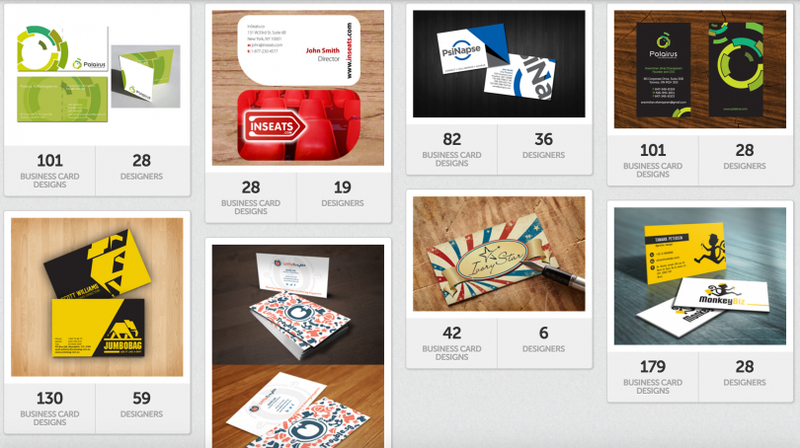 If you’re not sure where to turn to for various personal and business design needs, DesignCrowd is your answer. It’s your connection to over half a million designers for projects such as simple logos, full websites, brochures, and book covers. Every type of design is available, even 3D designing, through their crowdsourcing model where multiple designers will give you multiple options to choose from. Keep reading for an overview of their services, our Designcrowd review and an exclusive coupon. DesignCrowd works by allowing the customer to put up a brief and select a budget for a particular design project out of numerous categories. Once it’s up on the site, designers from all over the world can submit their concepts, allowing the customer to pick the top contenders, get feedback from friends, family, or others invested in the design, request changes from the chosen designers, and then finalize the best one. Because DesignCrowd offers a money back guarantee if you don’t get any designs you’re satisfied with, there’s virtually no risk and a much easier time finding the right graphic designer for your particular tastes. It’s a wonderful way to start from your initial design needs and possibly build a relationship with a designer you can trust in the future. Find even more convenience and savings with the discount code listed below. DesignCrowd is already a great deal for getting top quality graphic and product design, but with our coupon code you could save even more on your perfect design. Click the link to go to the DesignCrowd website and copy the MonetizePros coupon code to your clipboard. Once you’re on the website, start posting your project and putting up your creative brief on what you need in your design (don’t worry if you’re not immediately sure, because you can save and go back to your brief if you need to). When you get to payment options, you’ll see a few packages to choose from based on your budget and how many designs you want to see from how many designers. Pick that and any appropriate add-ons from the section below to determine your base price. At the bottom you’ll see a link to click if you have a discount code. Click that and enter the coupon code from MonetizePros (AFF-50-MONETIZE) and see your savings. Then just finalize, enter your selected payment information and watch the design contenders come in. It’s that easy to try out one of the best ways to get multiple possible designs for your project. One of the biggest assets to using DesignCrowd is that it can take a lot of the extra hassle out of finding the right designer. It’s a much better options than searching through contacts and job boards to audition a designer, only to go through hours or even days of the process and find that you really don’t like what they’re coming up with. The UI is very easy to work with. You can tour the various different forms of design work available through the site either by the most popular forms or a list of all the offered services available through a link in the site map at the bottom. Once you know the sort of design you’re looking for, a large Get started now button on any page takes you to a selection page to pick the design item you’re looking for. Once you’ve selected the type of design you need, there’s a very simple form for your contact info and a briefing to describe the design you want creative professionals to submit. For additional reference, you can upload any files that might help designers give you exactly what you want, whether they’re examples of style or images to include. From there, you’ll pick a package based on the form of design you want and your budget for the number of designers and designs that will be available to pick from. After that, you can pay via several different methods and see what you’ll get from the different designers that pick up your job. The variety of pricing depends on how many designers you want to submit and how many designs you’ll have available for review and selection. This is actually a nice model as once you select the price you want to pay, it’s a specific rate that doesn’t change. The terms are clearly spelled out and explain how many designers can put in for that price, how many revisions will be available on selected designs, ownership of copyright, and other features of the package that may attract more, higher-end designers to put in for your projects at the price point. Another attractive feature when picking a package is the ability to buy extra add-ons and determine your price point based on these. The available add-ons vary depending on the particular style of design you’re requesting, and their presence is useful for tailoring just what you’re trying to get out of the service. In addition, there is a section when choosing your package that allows you to add a similar package for another design form at a discounted rate. For example, when choosing to purchase a website design, you can add on an extra fee to have it fully coded in HTML and CSS beyond the basic page design. And there are options for adding a package for designing a new logo or business card if you’re looking to combine a full rebrand into a simple purchase. The money-back guarantee is also a very nice feature. There’s always a certain amount of risk when working with a designer or even taking in multiple design options that you simply won’t find what you’re looking for. The fact that you can get a refund on the package if this is the case increases the value of the service in our eyes. There are a ton of different design services offered by DesignCrowd, so here’s a rundown of some of their basic categories to work from. Have a custom logo designed for your organization for as low as $99 depending on the options you choose. Select from multiple possible designs based the parameters you give to establish your brand in the best possible way. Once you have a logo, roll it into a sharp custom business card with all your supplied information in standard design formats. Upload or take to any printer once the right design is done and start networking, grow your business. For a bottle, a box, or other packaging, have the perfect label designed that goes along with your logo and your other overall branding. Gain a memorable presence in your marketplace by making sure your label pops and fits your desired aesthetic. Get your logo, company name, and other aspects designed perfectly for printing onto a t-shirt, stationary and letterhead, and signs. Use them in various ways to get the word out there and enhance your overall brand by keeping it fresh in your customers’ minds. Ranging from basic page design to coded HTML and CSS files for a simple upload to your server, have professional designers offer possibilities for the best look and potentially solve technical problems to beef up your online presence for maximum effect. When you want a branded, functional website built from the ground up, choose from designers and decide if you’re looking for fully functional coding or just the quality design principles for a relatively basic display. It’s easy to have a fresh website conform to your vision and give you the functionality you need for your business with some of the available add-ons. There are also extra services for adding a custom blog or ecommerce solutions to the website you want designed or to an existing website to match current expected design. Taking some of the initial hassle out of creating a website through products such as WordPress and Blogger, DesignCrowd will allow you to hire a designer to flesh out the initial look and feel of the website to your specifications. Once the design is done, upload it and then focus on serving your brand with content through the easy to use content management that many of these products provide. Twitter, Facebook, tumblr, and others have become a regular business need, and it can be time consuming to use all their features in the exact right ways for branded framework. DesignCrowd can help you connect with designers whose personal specialty is leveraging these features for the best results, allowing you to put your energy towards the right message with each statement. Icons and banner ads to spread around the rest of the web, email marketing designs and digital shopping carts, and several other aspects of your organization’s online life are available through DesignCrowd with varying combination packages. General graphic design is available in a variety of forms and functions through the many specialized creative individuals on their site. Artists of varying styles are included in the worldwide network of professionals accessed through this company. Turn your words and your vision into the right image for your needs by leveraging their talent with good descriptions and examples of what you’re looking for. Android or iPhone, experienced professionals can help you with the visually pleasing designs for your mobile app. Have a form that blends well with your function and keeps users coming back whenever they’re on the go. Complete PowerPoint displays or Photoshop edits are available for presentational needs from advanced users that know the ins and outs of each program. It’s like having your own design staff at your call whenever you need a presentation without having to worry about a regular salary. Animated characters or virtual tours of a space pop so much better with a 3D rendering that allows the user to really immerse themselves in your product. Have some help designing a perfect three-dimensional rendering that fits your needs with reasonable revisions. A host of services for printed materials are available. Fulfilling all the most traditional forms of design work along with the modern expectations of business helps have a good brand in every marketplace. Brochures, cards, postcards, flyers, invitations, and various other printed materials designed to get the word out there and maintain contact with customers are available. In many cases you can add these together in a design package to have the necessary cohesion between your mailings and keep your style consistent. If you’re selling a physical product, designers can help you create a memorable packaging that speaks to your visions. Everything from simple boxes to bottles and cans to stay-fresh packs for food can be planned out to look just right in production and give your product the exact right feel. Book covers, CD covers, magazine layout; it’s all available from designers for those that create in other forms and need someone to give their words or music the right artistic life for marketing. You don’t have to do it all yourself when there are talented people waiting help. Plenty of other design products are available in this category, including stickers, basic advertisement layout, and just about anything in the traditional print branding and marketing family. It’s worth browsing all the categories and finding opportunities that you might not have thought about before for bringing the perfect design into your business. With the ability to have multiple creatives shoot for realizing your perfect design, there’s no reason not to trying out DesignCrowd. Click the link and use your discount code today, and you just might become hooked on how simple it is to get the exact right branding for your organization.